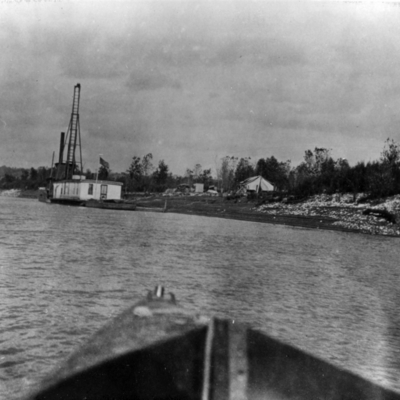 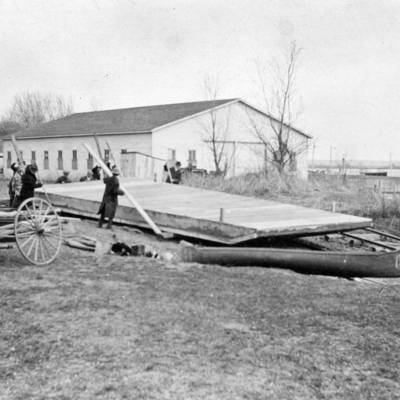 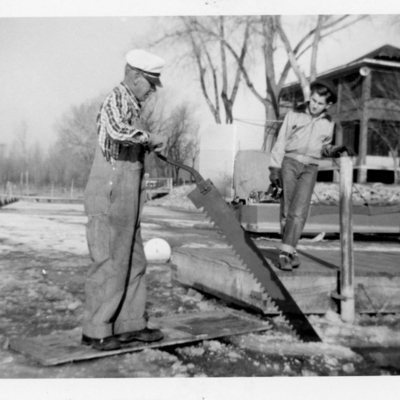 Photograph of men installing dock at Lake Manawa. 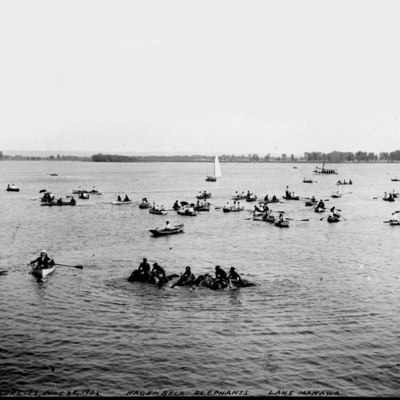 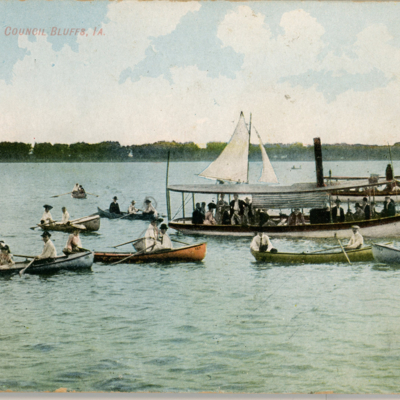 Postcard of boats on Lake Manawa. 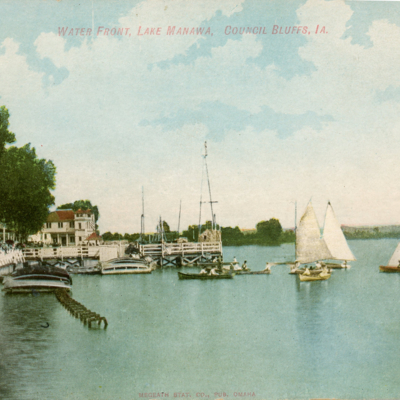 Postcard of Lake Manawa Water Front showing row boats and sail boats. 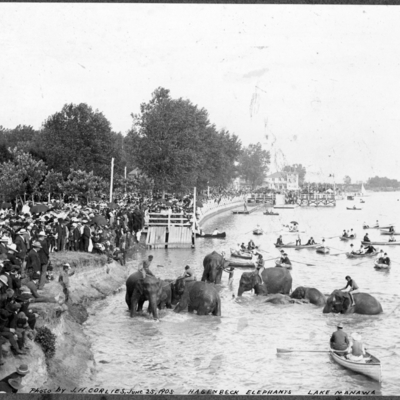 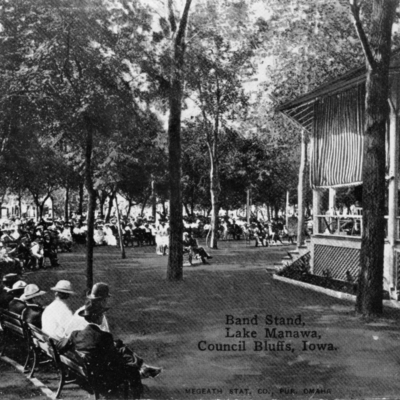 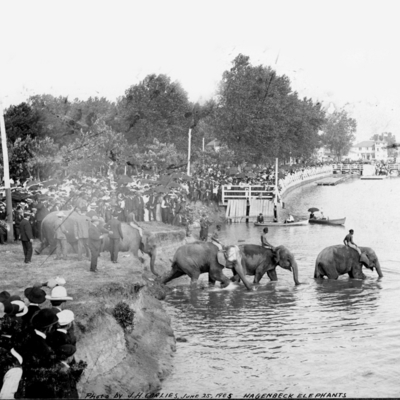 Photograph of a crowd gathered at Lake Manawa band stand. 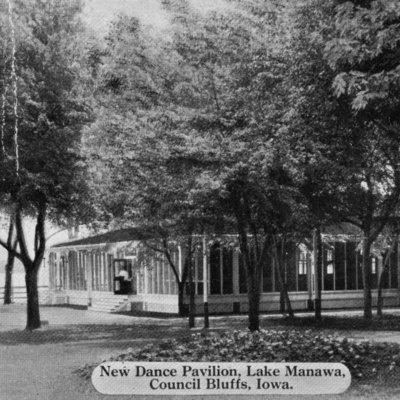 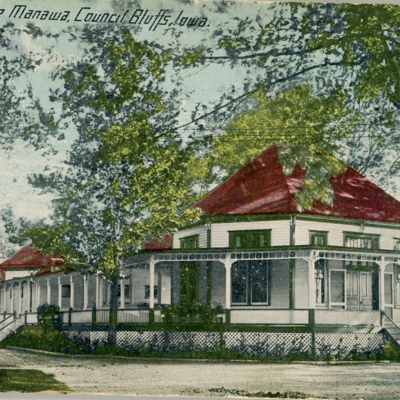 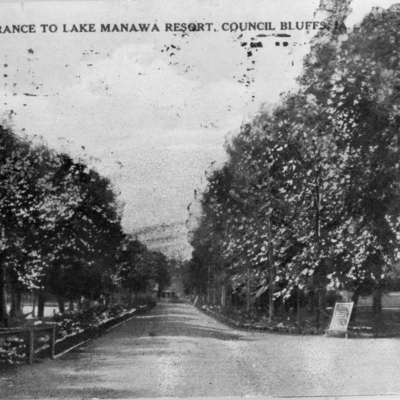 Postcard: Entrance to Lake Manawa Resort. 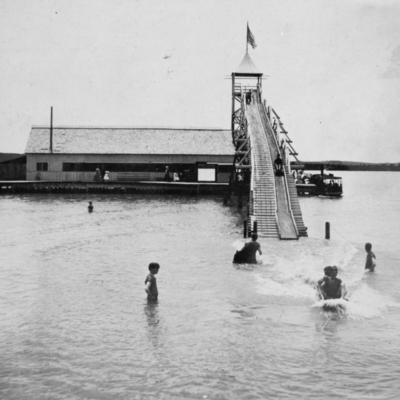 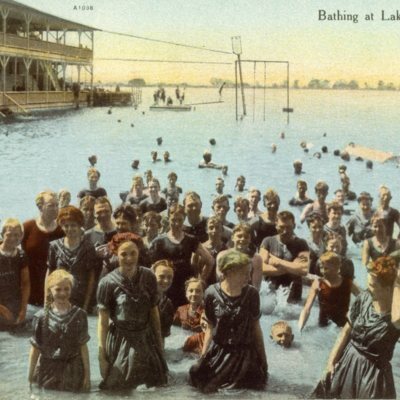 Photograph of children on slide at Lake Manawa. 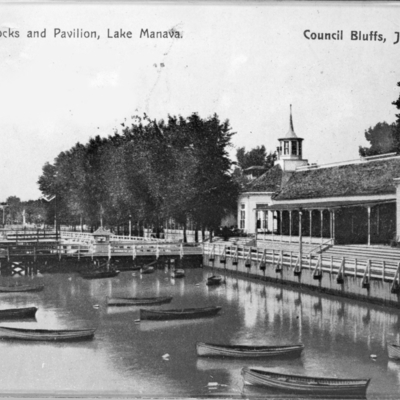 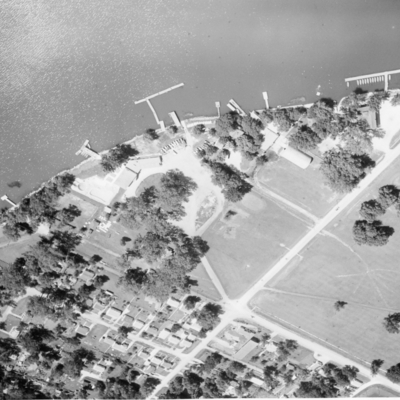 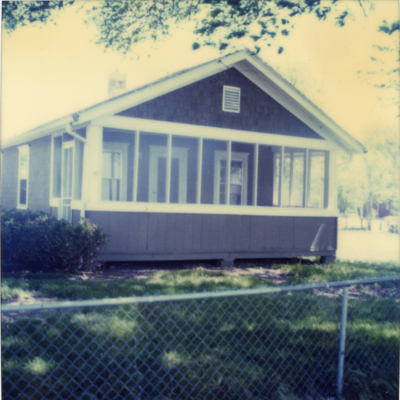 Photograph of Lake Manawa Fish & Game clubhouse. 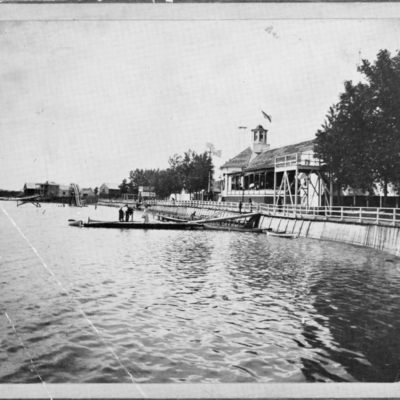 Photograph of Lake Manawa taken from a boat. 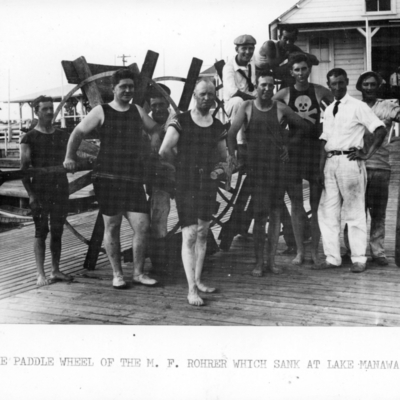 Photograph of men posing with the Paddle Wheel of the M. F. Rohrer which sank at Lake Manawa. 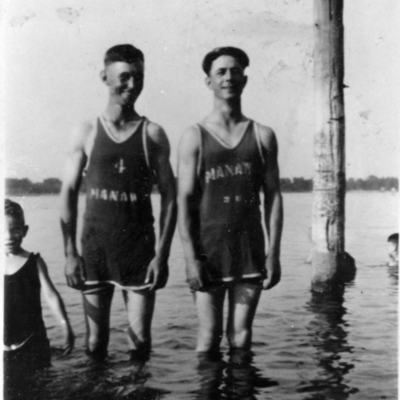 Note on back of photo: "Mr. Duckworth"